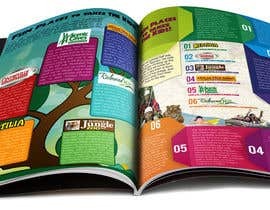 Design can be designed in Adobe Photoshop, Illustrator or InDesign. 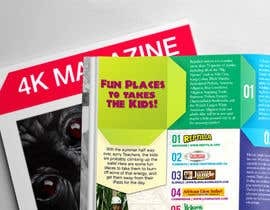 Were have included a PDF of last months magazine so you can see how we design. Please feel free to make this colourful and pop off the page, use images or icons or anything to really make this stand out. FUN PLACES TO TAKES THE KIDS! With the summer half way over, sorry Teachers, the kids are probably climbing up the walls! 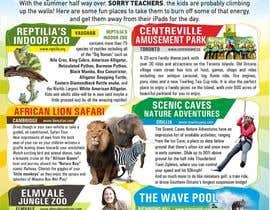 Here are some fun places to take them to burn off some of that energy, and get them away from their iPads for the day. Reptilia’s indoor zoo contains more than 75 species of reptiles including all of the “Big Names” such as Nile Croc, King Cobra, Black Mamba, Reticulated Python, American Alligator, Boa Constrictor, Alligator Snapping Turtle, Burmese Python, Eastern Diamondback Rattlesnake, and the Worlds Largest White American Alligator. Kids and adults alike will be in awe (and maybe a little grossed out) by all the amazing reptiles! 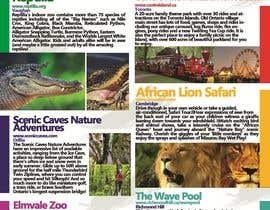 A 20-acre family theme park with over 30 rides and attractions on the Toronto Islands. Old Ontario village main street has lots of food, games, shops and rides including our antique carousel, log flume ride, fire engines, pony rides and a new Twirling Tea Cup ride. It is also the perfect place to enjoy a family picnic on the Island, with over 600 acres of beautiful parkland for you to enjoy. Drive though in your own vehicle or take a guided, air-conditioned, Safari Tour. Hear expressions of awe from the back seat of your car as your children witness a giraffe leaning down towards your windshield. Watch exciting bird and animal shows, take a leisurely cruise on the "African Queen" boat and journey aboard the "Nature Boy" scenic Railway. Cherish the giggles of your 'little monkeys' as they enjoy the sprays and splashes of Misumu Bay Wet Play! The Scenic Caves Nature Adventures have an impressive list of available activities, ranging from the Ice Cave, a place so deep below ground that there's often ice and snow even in early summer. Glide up to 50ft above ground for the half mile Thunderbird Twin Ziplines, where you can control your speed and hit 50kmph! 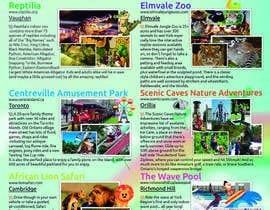 And so much more to do like miniature golf, a train ride, or brave Southern Ontario’s longest suspension bridge! 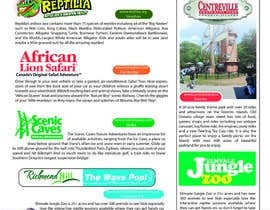 Elmvale Jungle Zoo is 25+ acres and has over 300 animals to see! Kids especially love the interactive reptile sessions available where they can get hands on, so don't forget to take a camera. There's also a petting and feeding area available with small breeds, plus waterfowl in the sculpted pond. There is a classic style children's adventure playground, and the winding paths are well accessed by strollers and wheelchairs. on-deck sauna. The Wave Pool is a great time for the whole family and just a quick trip down Yonge Street to Richmond Hill! Thank you! It just doesn't flow as well as the others I appreciate the entry! Submitted! Thank you for waiting sir! Hello and thanks for the invitation. 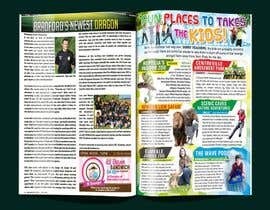 I am very glad and proud that 2 of my ads I created for you previously are in the july edition of the Bradford magazine you uploaded. I will for sure join this contest as well. All the best, my regards!